To copy a DVD-9 movie to your hard disk as a DVD-9 folder with Any DVD Shrink, please follow the steps below. 4. In output device dropdown list, select DVD Folder as output medium. 5. Click Copy DVD button and Any DVD Shrink will start to copy the DVD-9 movie to your hard disk. a. If you don't uncheck any items from the source disk, you will get 1:1 DVD copy. b. You can uncheck any chapters, titles, subtitles or audio tracks that you don't want to backup on your hard disk. 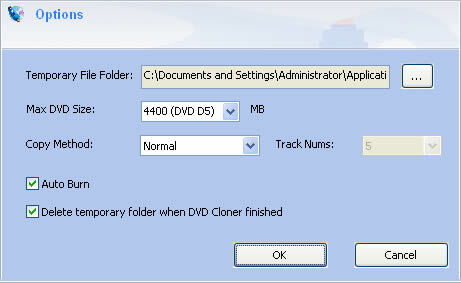 c. Copied DVD folder can be converted as a DVD disc by Any DVD Converter Pro or other converters which supports DVD folder. d. DVD folder with right structures can be burned to a blank DVD.